A view in early morning. The Fever Few has flourished. I got a start of it in the 50’s from Mrs Jaaden’s garden near the old cabin in Kingston WA, where we used to spend some summers, and it must have come down with us from married graduate student housing in Seattle. It volunteers wherever it can find a foot-hold. The claw-footed bathtub on the porch has been languishing, dead leaves in the bottom, and last week I filled it with blooming plants that look happy. The fish we’ve newly acquired have learned that it’s OK to swim right to the top, that they’ll find food there. For the first few days they lurked at the very bottom. Hester’s Father’s Day card to Tom, appropriately a tiny seahorse admiring her Dad, is in the foreground. 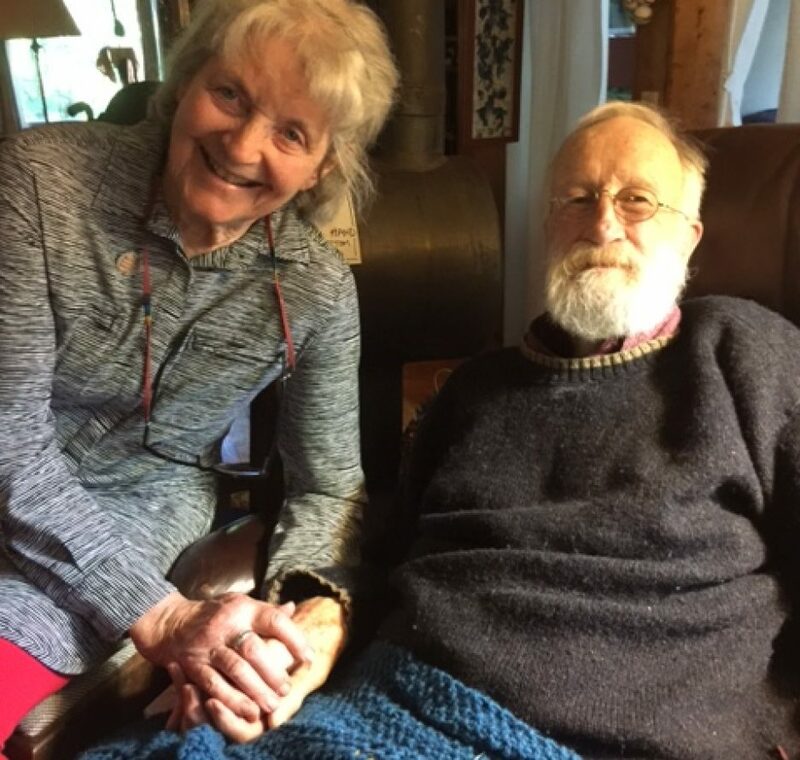 This Dad has just been “graduated” from Hospice care back to Medicare, he’s so much stronger: it was a change we anticipated, and we can go back when we need to. We need to keep the hospital bed, and hope that can be arranged without our having to rent one. Trying to keep up a life outside the house and the daily routines, I went on Tuesdays in April and May, when Lorna was here, to take a basket-making class. It was taught at the Multnomah Arts Center by a young woman who was 1/16th Native American, remembered her grandmother and had learned the craft from family members. The form we used was a 2×6 block of wood. You can see the change in shape that occurred when I took the block out. The teacher, Stephanie, had traditional tattoos on her chin, and invited us to photograph a sheet of directions so we could do other baskets at home. The Lime trees are in bloom by the Walgreens parking lot at 21st and West Burnside…as in Unter den Linden …one of the sweetest smells in flower-dom. On Sunday we did go to the 10:00 service, left after communion, drove upriver, and had lunch in the Walking Man pub in Stevenson. The only time we’ve been here before, it was pouring rain.